As I have been bouncing around ideas of what project I would like to do next, I decided to try out a few new stitch techniques. There are so many different Stitches and ways one could construct a blanket with. As I contemplated this, I was excited by the realization that the possibilities are truly endless! 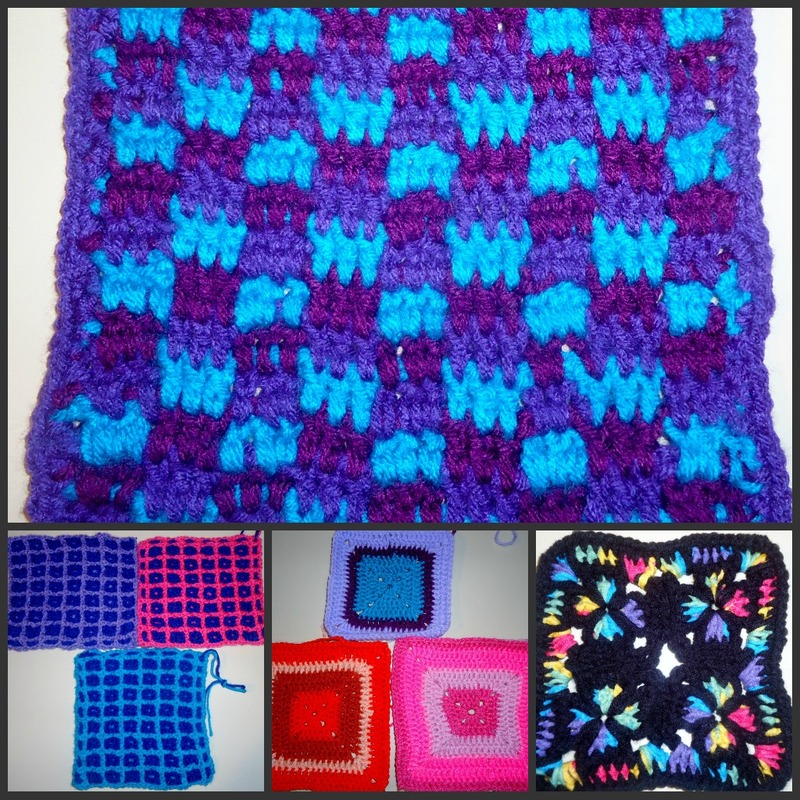 ﻿Take for example, these blocks created Using a stitch guide pattern from Margaret Hubert's fantastic book called, "The Complete Photo Guide To Crochet". This pattern can be found on page 242. 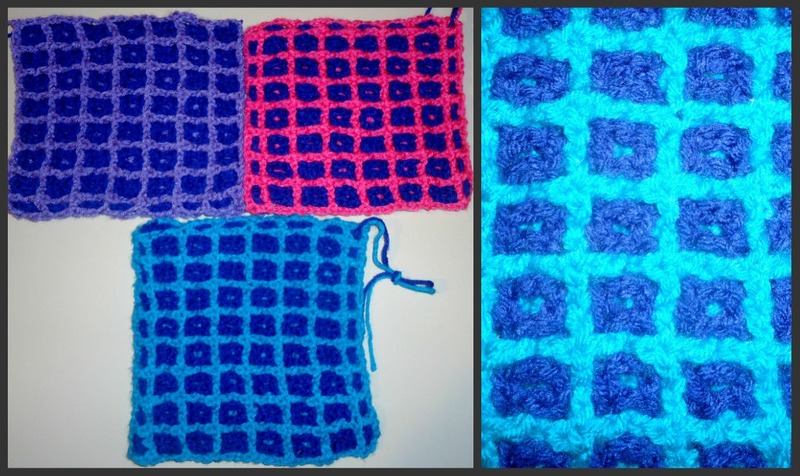 To quote from the book it states, "Double filet intermeshing consists of two layers of traditional filet mesh that are crocheted at the same time, one row of each alternately. The stitches are intermeshed so that the two grids become woven together into one fabric." It looked complicated to me but, after a few unravelings I was crocheting it like a pro! This stitch would make for a thicker, cozier blanket, just what I need for the colder Northern Michigan nights we get here. How about this beautiful" Clever Block" (This pattern can be found in, " The Complete Photo Guide To Crochet" also on page 119) stitch square? With different colors this could make an interesting blanket/afghan. Oh and I can't forget the Unholy Granny, which is already one of my favorites (lower center Picture)! I also tried the "Framed Church Window" by Elizabeth Ham (Lower right side). Click for the pattern, Framed Church Window . Who can blame me for having such a hard time deciding with so many possibilities! Take care for now, my friends!